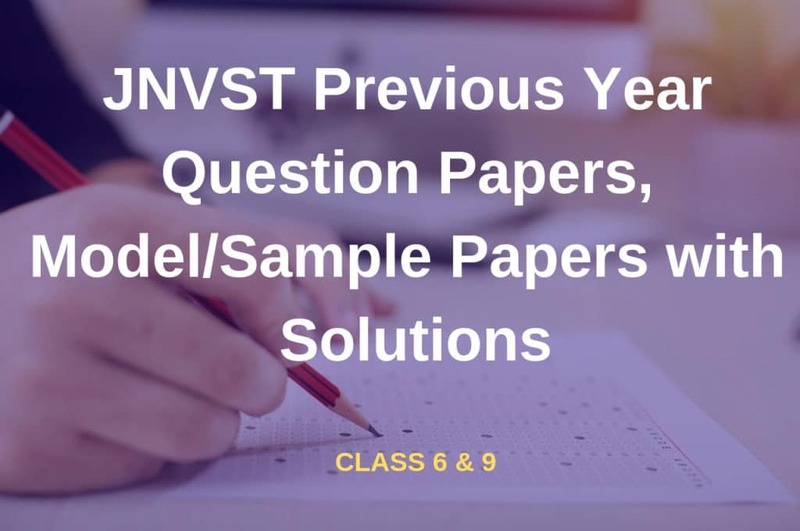 JNVST 2019 class 6th exam will be an objective type question paper. It will have three sections or subjects namely mental ability, language test and arithmetic test. Questions will be asked in multiple languages depending upon the state of candidate. Class sixth question paper consist of three subjects’ viz. mental ability, language and arithmetic. All the subjects are important. However, candidates must give extra time to the mental ability questions as this section have the maximum weightage and maximum questions are asked only from this section. The model papers and sample PDFs shared below are very helpful JNVST candidates. Parents can download and print these PDFs for their children and help them in JNVST 2019 preparation and practice. Class 9th syllabus is a bit lengthy and is typically based on class VII syllabus. Candidates can refer to the JNVST preparation books and class VII books for better understanding of topics. Once they have completed the basics they must practice through the previous year question papers and sample papers. In order to qualify the exam, candidates have to score passing marks in all the subjects individually. Therefore, candidates have to equally focus on all the subjects. It will be easy for candidates to understand and get an idea about the JNVST 2019 exam pattern before the exam. Class 9th question paper will be an objective/ descriptive type question paper. Total number of question will be 100 and total exam duration will be 3 hours. Along with these question papers, aspirants can also solve mock tests. Check out and download these sample paper question PDFs of all the subjects for class IX. A regular practice with such paper will increase their speed to solve the questions and will also increase the chances of qualifying exam. Government of India started Jawahar Navodaya Vidyalaya during 1985 in accordance with the National Policy on Education, 1986. NVS was established as an autonomous body under the Ministry of Human Resource Departments (MHRD), Govt. of India to control the functioning of all the JNV in the country. JNVs were established mainly to provide equal education to the talented children of the rural areas of the country. Till date, there are around 661 JNVs established in the various districts of the country. Every year NVS grant admission to a certain number of students in various Navodaya Vidyalaya throughout the country. These admissions are granted on the basis of an entrance test called Jawahar Navodaya Vidyalaya Selection Test (JNVST). Hope you find these practice paper helpful. In case of any query related to JNVST 2019 model papers and examination, you can freely ask question to us. We would love to provide assistance to you. You can drop your queries in the comment box below.